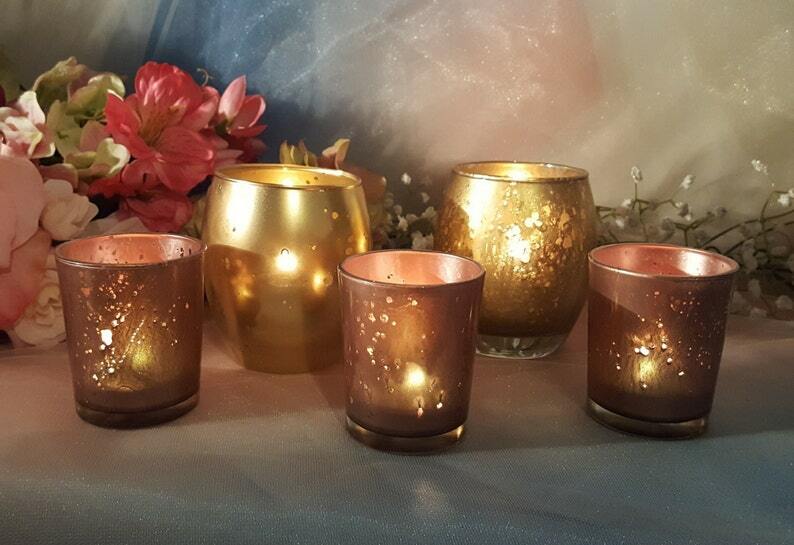 Custom designed Rose Mercury ~ Aluminum Mercury ~ Gold Mercury ~ Rose Gold Mercury votive candle holders. They are beautiful & stunning. Best Value for the Shipping! ROSE GOLD MERCURY IS NEW!!!! Love this! Hint of Pink / Rose and Gold all in one. These are a Mercury Effect painted. If in doubt about the color - email me. Can be washed however, do not leave them in water or let water sit in them.